The image above was taken at the start of the first day of the APF Exhibition at Ragley Estate in Warwickshire. 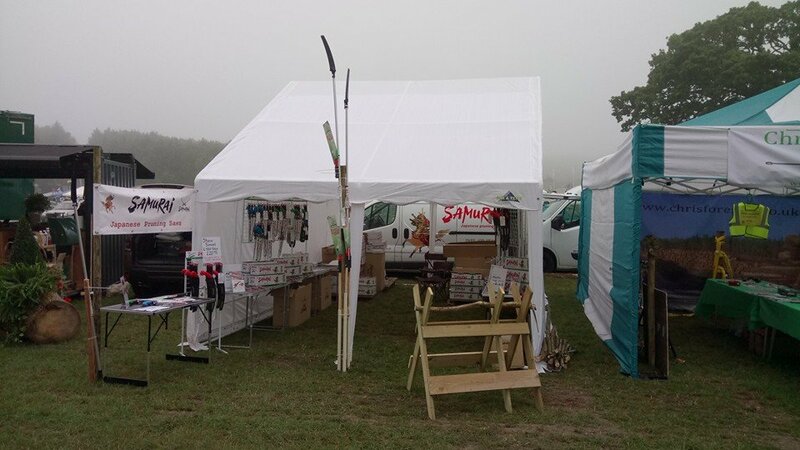 For the rest of the 3-day show, we were rushed off our feet and our little stand was rammed with people trying and buying our fantastic Samurai Japanese pruning saws. 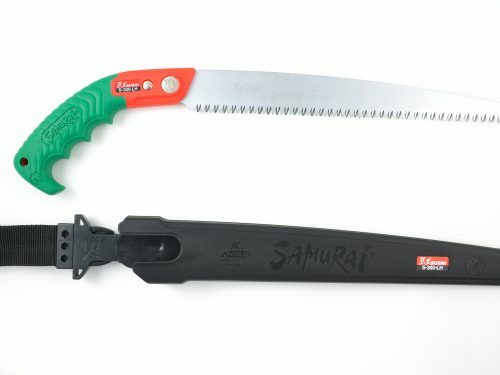 The special offer we were running for the first 50 customers (A free spare blade with the purchase of a C-330-LH, heavy duty curved pruning saw) were sold out after only a couple of hours. It was great to meet so many people and have the opportunity to let people try out the saws before they committed to a purchase. 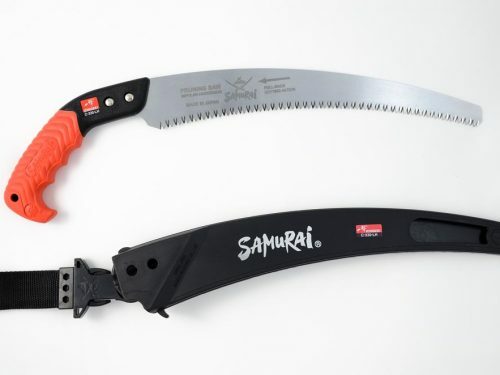 The initial challenge was getting people to have a go when they were familiar with using the Silky brand of Japanese saws. But once they realised the quality of our saws and the identical manufacturing process (both brands use impulse hardening to give the teeth increased durability) they were won over and very few people walked away without a purchase. 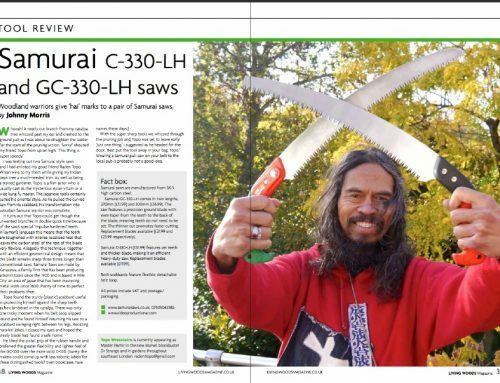 The C-330-LH is the tree surgeon/arborists choice. 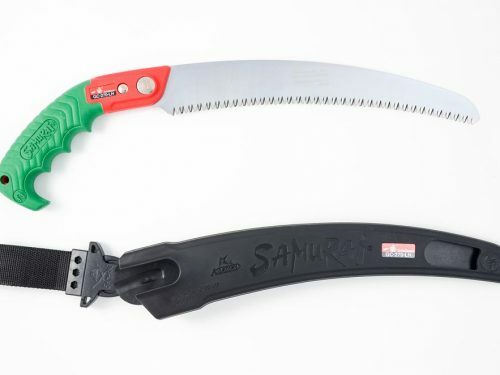 People commented on the no-nonsense scabbard, flexible belt loop and the slightly stiffer blade making it more resistant to snapping. The orange handle was also identified as a useful feature (easy to find if dropped in a pile of tree pruning’s!) along with the secure pistol grip handle.